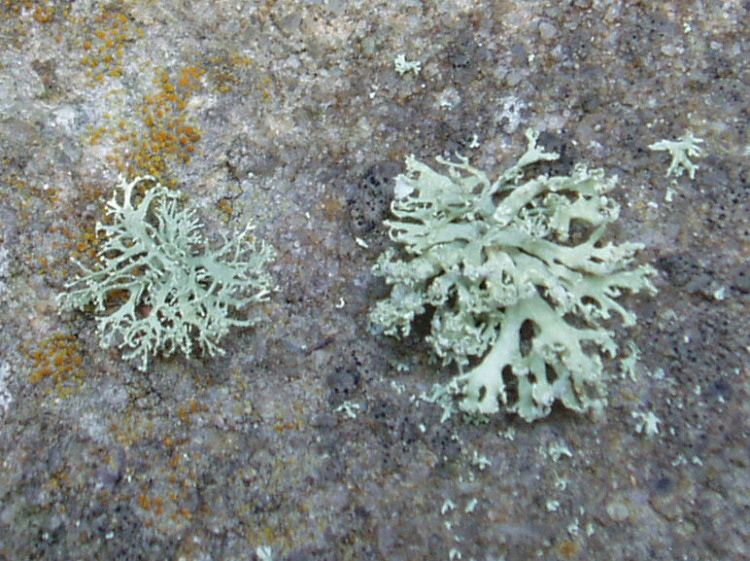 DIAGNOSTIC FEATURES: Tiny to small abundantly branched, shiny, smooth, granular sorediate thallus; tips of branches attenuate, almost isidioid; P- on rock; compare with R. roesleri with hollow and perforate thallus, R. pollinaria with tips widened, open and recurved, with mealy soredia, P-, and R. petrina, P+. ECOLOGY: An Appalachian-Boreal species that common on boulders and cliffs in exposed areas; rather rare in Ohio with records from 8 counties, on semi-shaded sandstone. Sometimes found with R. petrina and/or R. pollinaria.